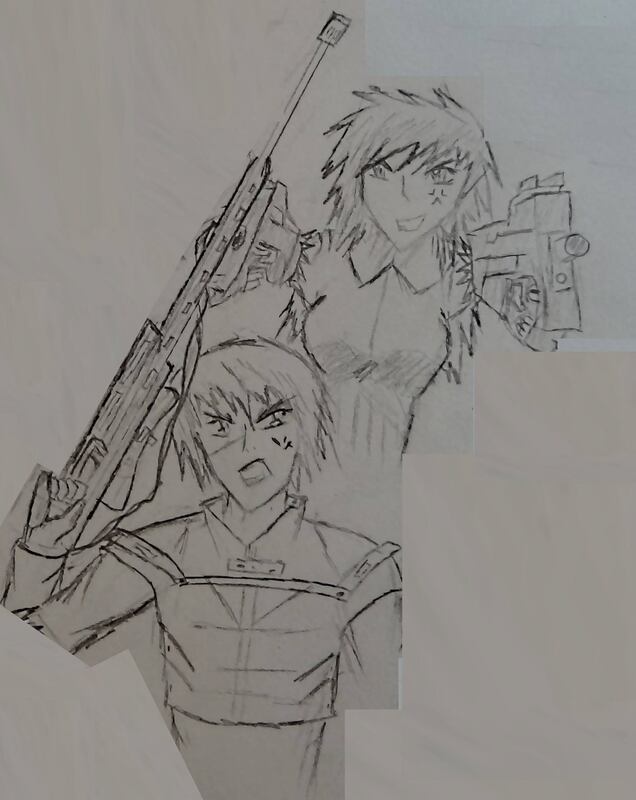 Further, Lashia is a Hunter-Slayer, a term for targets that have killed their assassins, making her very dangerous. Frayno knew two of them that she killed. As the story progresses the motivation for his continuation changes. Initially it was the draw of the challenge of the elusive target along with the very high bounty Brish had placed. Lashia proves to be a very strong combatant and constantly taunts Frayno, setting traps that nearly kill him. He kills a fair amount of her followers but it does not seem to faze Lashia which in his mind shows how deprave she is. Given his history of hunting other high targets, he feels like she is similar in many way in that they are delusional, and their eventual arrogance blinds them. He is intrigued by her because she seems so alike them, but different. Frayno’s most obvious trait is his misanthropy. He distrusts people and does not like people, he views most as ‘trash’. He is highly skilled and arrogance but careful in that regard as he has seen too many people killed. He is aggressive and takes very poorly to people giving him orders. He does his job as a Hunter not out of a strong sense of justice, rather the desire to dispose of as many degenerates as he can. Generally nihilistic. Frayno grew up in a small community, living on a farm. When he was around the equivalent of 10 years old he was playing in the grass with his dog when his father said bye to him. It was the last time he saw him alive as he was killed for a criminal debt he had acquired. The shock of the hidden life his father lived, as well as a burning vengeance fueled him to become a police. The strong desire stayed with him through his earlier years, and excelled in the academy where his quick thinking and firearm skill were notable. The regimentation and rules proved hard for him and the more roguish life of a Hunter appealed to him. He kept many connections int he security forces which helped him in the early stages of being a Hunter. His talents excelled and he rose rapidly, taking on larger and larger Hunts with complete success. Early as a Hunter, his main task was to find and kill the people that had killed his father. Of the three, two were already taken care of. The third had cleared his Rank and was living a normal life when Frayno tracked him down. They were alone when Frayno pushed him to the ground and readied the shot to take him out. He was driven by the childhood dream of finally coming to this moment but it did not feel right to him. The man was crying and begging, that he had a family now, and asking him to not kill him if for his kid’s sake. Frayno commented that his father likely begged for his life too, and people ignominious ends were painful to him for how cowardly they are. At this point he was not sure what he wanted to do. The man was innocent according to the Rank system at this point, and Frayno did not feel the drive his childhood dream had for so long. He no longer felt the burning drive that had been there for so long. The man continued begging to be spared. Frayno looked at him, adjusted his rifle, and shot him dead, hoping he would feel something for bringing his father’s killer to justice, but the answer was no. The only thing he felt: nothing. Growing up Frayno had a dog he was close with. His favorite drink is milk. He prefers to sleep on the floor, mostly because he hates the thoughts of what occurred in hotel beds he stays at.